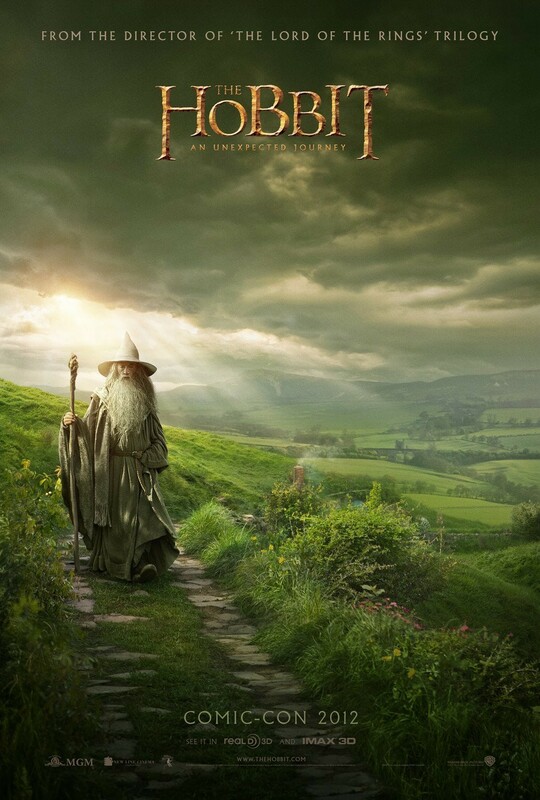 An Unexpected Journey takes about an hour to get started. It begins with scenes of Bilbo writing a note to Frodo, and then flashes back to the events of The Hobbit. While there were some excellent moments (especially the “Lonely Mountain” song), the film took too long to get started. Unlike the first hour of The Fellowship of the Ring, there’s a lot of dialogue but it conveys relatively little information. Viewers learn surprisingly little about the Dwarves’ characters or their quest. Perhaps the biggest change to the book – and my biggest gripe – is the Azog subplot. In the book, Azog led the Orcs during the Battle of Azanulbizar and was slain by Dain. He was also Bolg’s father. That’s it. However, now in the movie, the Necromancer has revived Azog so he could take revenge on Thorin. Obviously, Jackson believed the film needed a central antagonist, but soon Azog dominates the story. The LotR films occasionally created Orc characters who could act as foils to the protagonists (e.g., Lurtz), but never allowed them to steal the scene. Goblin Town looked great, almost like a beehive. Despite my initial misgivings about the design of the Goblin King as an obnoxiously overweight Goblin, I loved the character on screen. His mix of humor and threats fit the tone of The Hobbit perfectly. If anything, I felt he was underutilized. I’d have preferred more of the Goblin King instead of Azog. The “Riddles in the Dark” scene was truly impressive, one of the best of the entire film saga. The dialogue remained faithful to the book, but the visuals added an extra dimension. The choreography increased the tension as Bilbo and Gollum circle around each other, but the movement never becomes distracting. Martin Freeman was an inspired choice for casting. 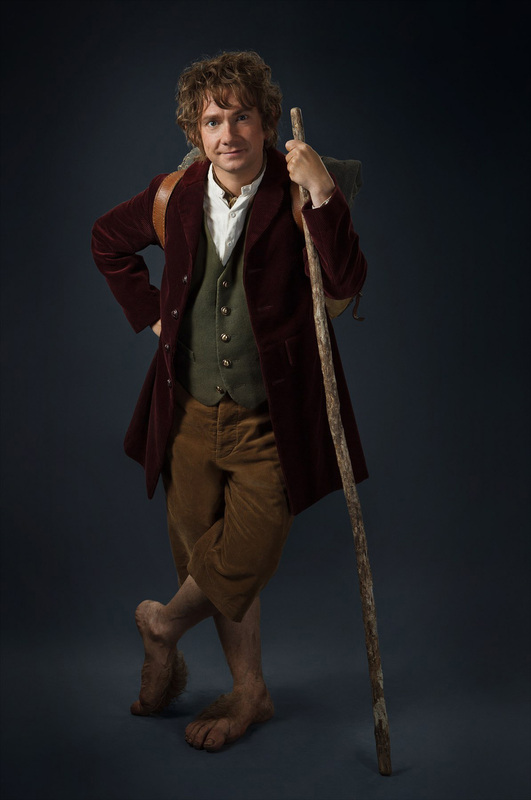 Freeman manages to convey both the “Took” (adventurous) and “Baggins” (domesticated) sides of Bilbo seamlessly. Unfortunately, the script nearly destroyed the character. In the book, Bilbo’s moment of courage comes when he faces the spiders in Mirkwood Forest. By contrast, near the end of the movie, Bilbo fights with several Orcs. It seemed like a step a bit too far for the character at this point in his story. It’s one thing for Bilbo to attack spiders while he’s wearing the ring, but quite another to attack huge Orc and Wargs while visible. One gets the sense that Jackson wanted to give Bilbo a heroic moment in the film, but it just didn’t fit. I was pleasantly surprised by Richard Armitage’s Thorin. Armitage deftly gives Thorin a bitter edge, but also manages to convey his loyalty to his company. This version of Thorin is arguably more complex and interesting than what we saw in the book in the book. The other 12 dwarves receive far less attention. As an ensemble, they work well, especially during the unexpected party, when they make a mess of Bilbo’s house. Bofur also has a memorable moment when he explains the importance of the quest to Bilbo. Given how beautifully Jackson brought Middle-earth to life in the LotR films, I was actually disappointed with how poorly the special effects in AUJ fare. Unlike the Orcs in the LotR films, Azog was rendered completely in CGI – and it shows. His body looks eerily smooth. Unlike Gollum, the character lacks stage presence when confronting the other actors. Middle-earth still looks great in the Hobbit films, but feels just a bit less real than it did 15 years ago. Make no mistake: AUJ is not Peter Jackson’s The Phantom Menace. AUJ generally works as a fantasy-action movie. Unfortunately, the script just doesn’t capture the wonder and spirit of the source material nearly as smartly as the LotR films.